Ms. US Ambassador, Susan Sengezer, is one extraordinary woman her courage will inspire you with her undeniable devotion to mankind and won’t take much to tug on your hearts. Susan writes with a humanistic reality of blatant truths; her stories of triumphs and I can do attitude keeps you sitting on the edge of your seat. Bestselling Author of 3 books, including her life story donating 50% of the proceeds to domestic violence charity Safe Passage. That’s a lot for a 55 year old woman to have accomplished; her story doesn't stop and never will. Susan is a full time emergency room RN, who at the age of 30 went back to school with her 5th child still nursing and alone after a 2nd failed marriage, determined to not be a welfare statistic. Today this mother of 7 children of with 2 in heaven 10 grandchildren, domestic violence advocate, Radio show host and recently accepted the position of Ms US Ambassador FoRe! Domestic Violence. ​Susan was blessed with the Title of Dame under The Imperial Order of Saint Helen on December 15, 2012 and was crowned April 11, 2014 Ms California Ambassador FoRe! Domestic Violence with FoRe! International, naming Safe Passage Los Angeles, number 1# as her charity of choice to raise funds and make a difference. Susan’s 1st goal for 2014 is to get the “It’s not Ok Brochure into every Emergency room in Los Angeles County, have the funding to print the first round of materials. 2nd goal for 2015 is to have a class for domestic violence with printed materials and PowerPoint presentation and offer the class online and in person with proceeds going to the charity for ongoing funding of the materials. Susan’s 3rd goal to draw enough attention to the world by education we can live a life after the abuse and using my testimony as the example of just that. A pivotal moment in 1978 was a turning point for Susan and stayed stored in her memory a gift to help her on her journey in life. Married and 17 years old pregnant with my 2nd child she enter the classroom of night school her face is bruised and bleeding. She came to quit and give up standing holding her infant daughter on one hip, while facing Kathleen Bowers; a powerful teacher Susan accredits in her story who responds with “If you quit he wins and you will quit everything the rest of your life if you quit tonight”. Susan kept her gift that night and uses it throughout life a voice to her in times of desperation and need forcing herself to forge ahead and shine like a diamond she is unearthed. Susan uses her past from age 2 of being molested and years of abuse to form who she has become and at age 20 goes off to become a missionary taking her 2 children with her. 1994 Susan is a patented inventor and graduates from nursing school as nomination director and historian for nursing organization and wins a trip to Nashville for 1st place extemporaneous speaking. 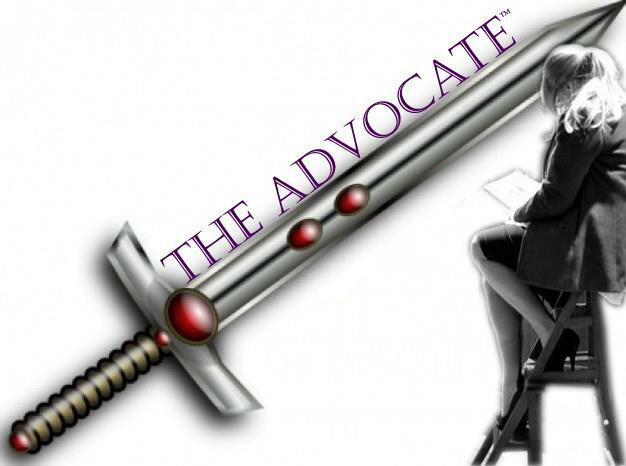 This gift of speaking Susan uses to captivate audiences whenever she can to benefit a cause with her Radio show “The Advocate” 2012-2013 Susan interviewed some of the most horrific victims of domestic violence and sexual abuse and gained notoriety on FoRe Radio. Award winning nurse at her current hospital for the core value award of “compassion” in 2010 after her trip to Haiti helping with earthquake victims and writing “The Anointing Of Mercy” from the heart of a parish nurse. Susan is dedicated to make a difference in health care also. She didn't quit and started a homeless ministry on skid row and published her journal. Words alone cannot express the caliber of woman we are presenting to you and a woman of thousands of friends and some since childhood who blessed her at the dedication of her life story to charity Safe Passage including thanking her teacher now age 80 . We believe by nominating Susan she will inspire more phoenix’s to rise and make a difference in this fight against domestic violence and sexual abuse of women in children. Book Summary Susan’s Memoir of a life as an abused woman gives light into a misunderstood subject. Why she stayed, where she got stuck, when she finally leaves. Susan a survivor of four difficult marriages; challenged herself to write about personal, dark areas of her life. Details unashamedly revisited to set others free from broken love, domestic and sexual abuse. Life’s Ultimate Betrayal’s and near death experiences. Removing the chains from her life forever so she is free to live in forgiveness and help restore women who just, like her, were broken. Exposing the demons and root causes and leaving you, the reader to choose to stay on the right path that the Father, the Creator of the Heavens and the Earth has designed for us all. Seek Him to stay in alignment with His purpose for your life. WWW.Christianreading.com/sortiz or Amazon books, Barns & Noble, Book world and available in hard back and e books.